When it comes to killer design at affordable prices, GeekVape is at the top of the game, and the GeekVape Nova Kit is an incredible purchase for anyone. 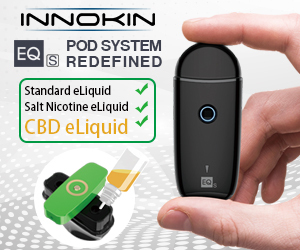 In keeping with our longstanding tradition to keep life as simple as possible for our readers, we have put together yet another detailed online user manual for one of the industry’s most innovative products, the Nova Kit by GeekVape. 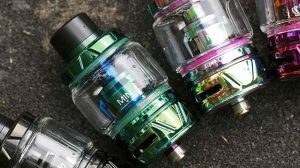 In this article, we’re going to share a Complete Guide To The GeekVape Nova Kit. 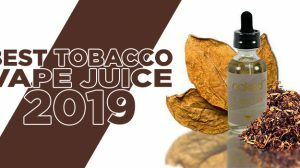 Since their launch in 2013, GeekVape has created some of the most innovative products in the vaping marketplace. 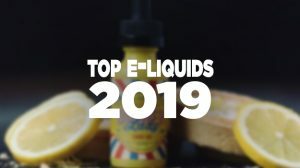 Whether it’s developing the almost indestructible Aegis Series or creating groundbreaking accessories to make our lives easier, GeekVape is showing no signs of slowing down. 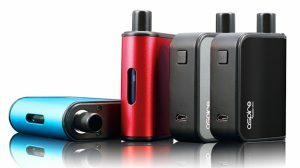 From the outset, the Nova Mod looked unassuming even though its sleek design guaranteed that it caught people’s attention in an instant. Made from a premium lightweight Aluminum alloy and cast resin plates, without batteries it weighs only 120 grams. Measuring in at 88mm by 52.3mm by 25.1mm, the Nova is a small mod that packs a massive punch. Taking full advantage of the housing of the device, the advanced AS chipset gives the Nova one of the fastest fire times in any vape mod; less than 10 milliseconds from button push to output, all the way up to 200 watts. Having come coupled with a full Temperature Control Suite that is second to none, the inside of the Nova is as impressive as it’s exterior appearance. It’s powered by dual 18650 batteries (sold separately), making the GeekVape Nova is a class unto itself. The Nova Vape Mod by itself is an impressive device but paired with the GeekVape Cerberus Sub-Ohm Tank, it’s unstoppable. Its 27mm base, 5.5ML e-liquid capacity with bubble glass (4ML regular), and some of the best vaping coils on the market make the GeekVape Cerberus a pleasure to vape. A Stainless Steel construction gives way to a long-lasting tank design and paired with the Nova mod, this is a guaranteed combination for a long while to come. Like most current manufacturers, GeekVape offers the Nova as a standalone device or as part of the GeekVape Nova Kit. With both options readily available, it’s down to you to decide if you want the tank or just run with the exceptional vape mod. GeekVape Nova Mod Contains: You’ll receive the GeekVape Nova 200W Box Mod, a USB Cable, a User Manual, and a Warranty Card. GeekVape Nova Kit Contains: You’ll receive the GeekVape Nova 200W Box Mod, the Cerberus Sub-Ohm Tank, a spare Super Mesh Coil, a Replacement Glass Tank section, a Spare Parts Pack, a USB Cable, User Manual, and Warranty Card. Now that we have shared some information with you about the GeekVape Nova Kit, told you what you can expect to find in the box, whether you choose the Full Kit or just the mod, it’s time to share the instructions. We have written many different guides on various mods throughout the years and have helped thousands of vapers get to grips with their newest devices — we’re offering the same to you in this complete guide to the GeekVape Nova Kit. Turning the Nova On/Off: Clicking the fire button 5 times will turn the device on or off. Accessing the Mode Selection Screen: 3 rapid clicks of the fire button will open up the mode selection screen – something that GeekVape forgot to put in the original user manual. Screen Lock: Pressing the + and – keys simultaneously will lock/unlock the Nova’s screen. Adjusting the Brightness of the Screen: Holding the fire button and + or – key will adjust the brightness of the screen in accordance with your choice. Background colors: While on the mode selection screen, hold the + and- keys for one second to cycle through background colors. Power Mode: In PWR mode, press + or – to adjust the power, press and hold the key to enter the quick adjustment mode. Switching Between Working Modes: On the mode selection screen, use the + and – keys to scroll between the modes. Pressing the fire button for 0.8 seconds will lock in the selection as will remaining inactive for 5 seconds. TCR (Temperature Coefficient of Resistance) Mode: On the mode selection screen, toggle to TC-TCR. Press and hold the fire button to enter the mode then use the + and – keys to adjust your settings accordingly. Your settings will depend on the type of wire you are using, if you aren’t familiar with the concept of TCR, we have a nice little article about it here. VPC (Variable Power Control) mode: On the mode selection screen, toggle to VPC. Press and hold the fire button to VPC mode. Press the fir button and use the + and – keys to adjust the P1/P2/P3/P4/P5 values. If you can get the curve settings right, you can greatly improve the consistency of your vaping experience. Stealth Mode: In the normal operation mode, press the fire button, + and – keys simultaneously for 2 seconds to put the device in Stealth mode. Exiting Stealth mode is exactly the same operating combination. While the device is in Stealth mode, you can only vape or change its power state. USB upgrade: Remove the atomizer and batteries. Press and hold the + key while plugging the USB cable into a pc. Use GeekVape firmware to upgrade the device’s software. Firmware version Information: When the device is powered down, press and hold the + and – keys simultaneously to display the current firmware display. Factory Reset: Access the firmware information screen, as described above. After entering hold the Fire button and both + and – keys simultaneously. You will receive the message “congratulations, reset!” to confirm that the device has gone back to the state it left the factory in. While this is something none of us ever want to do, it’s handy to have the information on hand. Now that we have walked you through the functionality of the GeekVape Nova, we hope that you feel confident about the device and your ability to pick it up out of the box and use it. 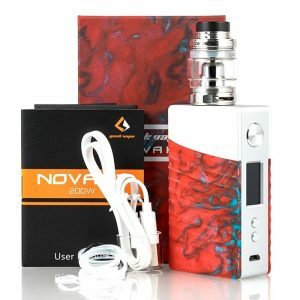 Sharing yet another online user manual for an awesome device, we offer a Complete Guide To The GeekVape Nova Kit, full with details and how to operate it. Great review, so thorough. Thanks for the time to write this up.